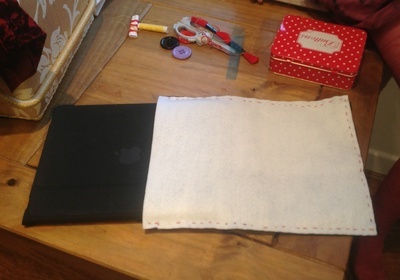 This is a very simple sewing pattern that we used as an iPad or other tablet computer sleeve, but you could easily use it as a little pouch or folder. Always keep your scissors for cutting cloth and felt separate from your all-purpose scissors, and make sure no one else in the family uses them for general crafts. That will keep them sharp. 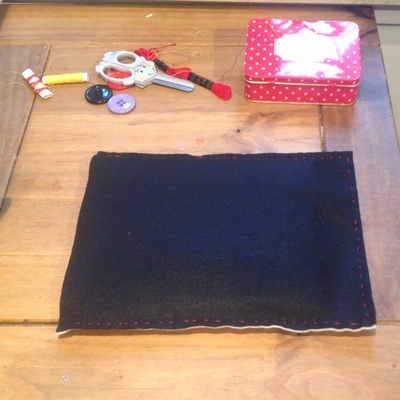 Measure the felt to fit the article you want to make a pouch for. It should be about 1.5 cms wider all around the article. If you run out of pins, you can also use needles. 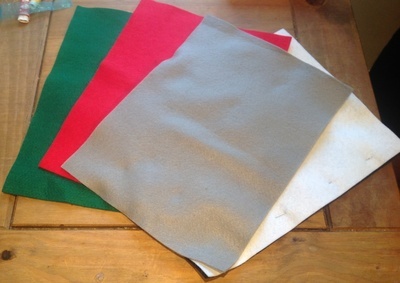 Pin the two sheets of felt together on two long edges, and one short edge, leaving one short edge as the opening. 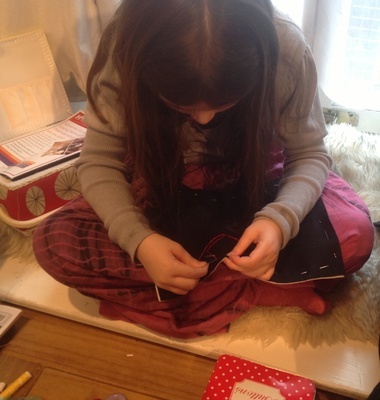 Choose a contrasting or matching embroidery thread and sew using a running stitch around the three edges. 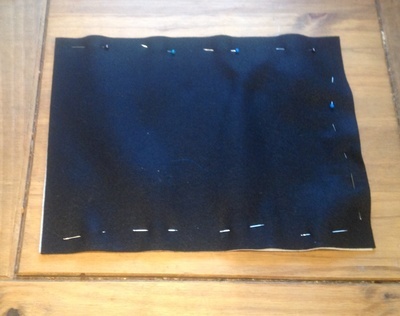 Once the running stitch is completed, tie off the ends and make sure that the cover fits properly. It's always a good idea to keep all your equipment close to hand. 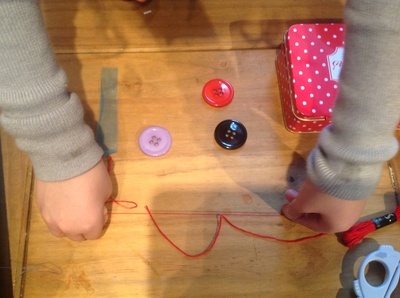 Cut the felt shapes, or select the buttons that you are going to be using. 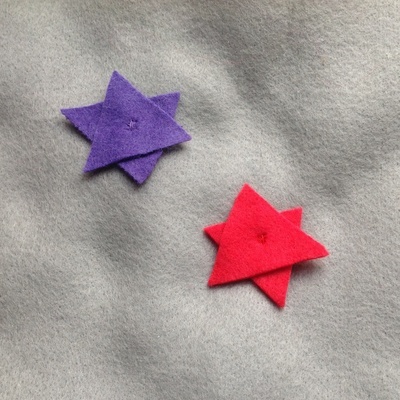 These are really simple stars made with two triangles of felt. My 8-year old managed to cut these completely by herself. 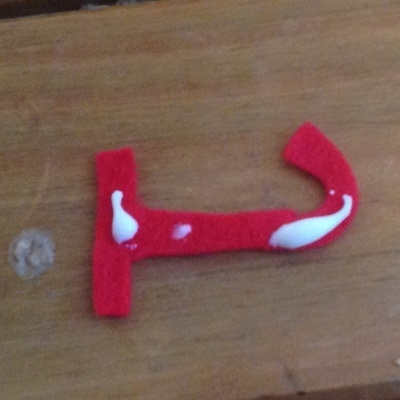 I attached them together with a few stitches. Lay out the decorations on the cover. Grandma was enlisted to help with the button. 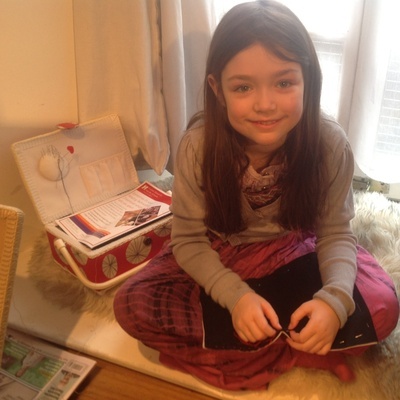 It's probably a good idea to put some newspaper down, unlike me! Luckily for me, my daughters both have the same initials, so they can now share the cover. Make sure everything is secure, and then leave to dry for 24 hours. Go on and be creative. 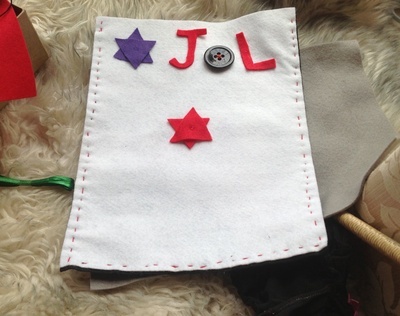 Why not leave me a note in the comments box with what you make with your felt? Looks great to do with my BYOD class as school - thanks!